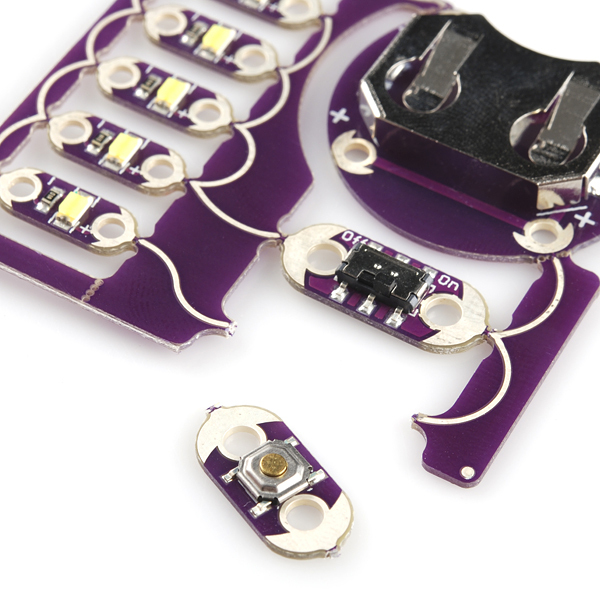 The ProtoSnap series is a great way to prototype your project without a breadboard. 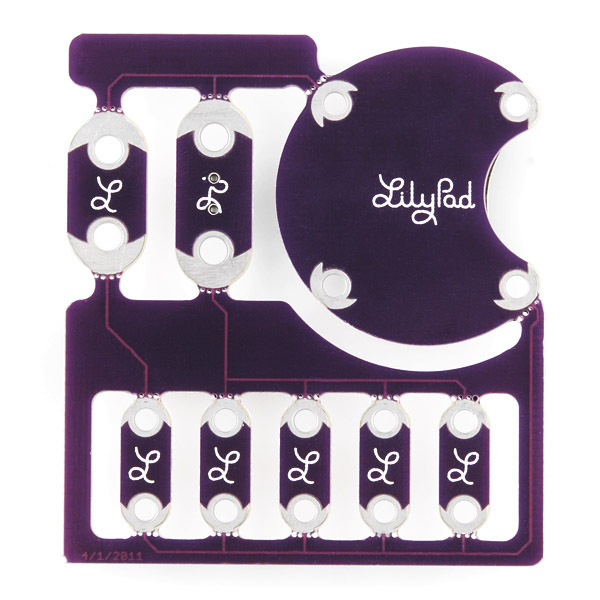 Everything is wired together on a single board, which makes it easy to explore the possibilities of the components before snapping them apart and building them into your project. 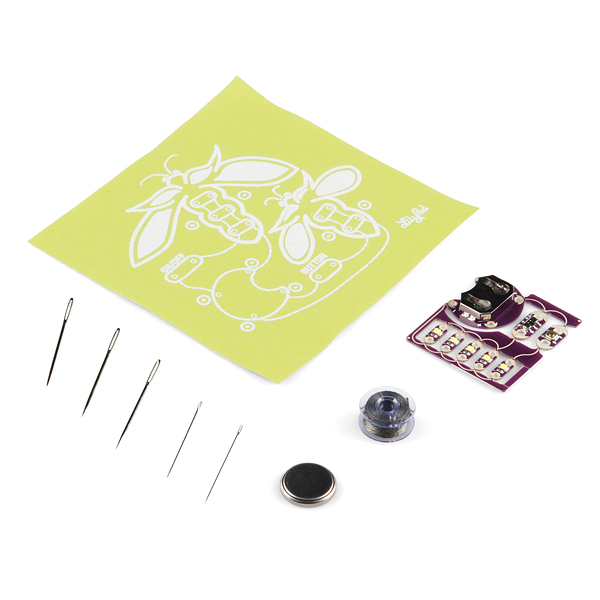 The ProtoSnap E-Sewing Kit now includes a battery so you can start your project as soon as you open the box. It also includes a fabric project template in case you don't have anything laying around to alter. How much is VF value of LED? If VF value is 3.3V as written on the data sheet, I do not understand the reason turned on by the coin battery of 3V. Thank you for understanding my poor English. it is indeed 3.3V typical (typ.) 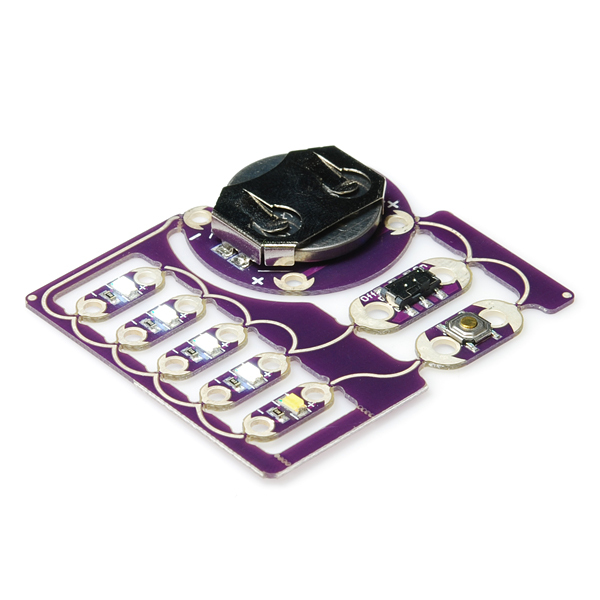 however LEDs actually have a range of forward voltages they can be driven at. At the higher end, they'll burn out faster (and nearly instantly if high enough) and at the low end it'll dim until it doesn't light. 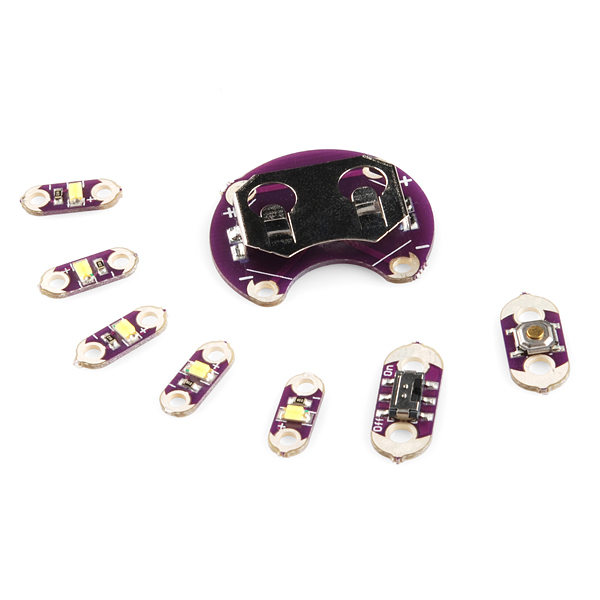 So, this LED can be driven at 3V but it'll be dimmer than what the data sheet says. you can see a chart showing the relationship between forward voltage and the current draw, and then between the current draw and the luminosity (light output) on the data sheet's third page. Bought this for hubby. We went to a panel at DragonCon 2014 and he got hooked. I knew he wanted more so I went to the site and saw so many goodies that I didn't know what to choose. I picked this because he was familiar with it. He loves it and can't decide which cosplay to make so he can use it! My 10 year old son wanted to learn to sew LEDs into fabric. This was a great project for him to reference when using the components for a project of his own design. Thanks sparkfun!! !